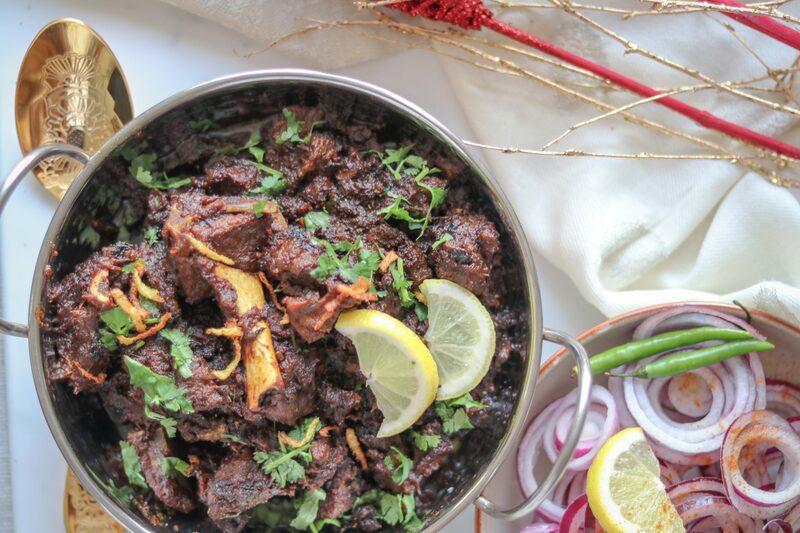 Mutton is one of my favourite non vegetarian delicacies, and if cooked perfectly , with the right spices there’s no better curry, or snack than the one having mutton. 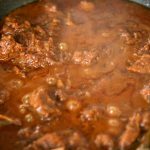 I love mutton curry, and the homecooked simple mutton curry recipe is on my blog here, but sukha mutton (Dry Mutton ), is something that mutton lovers can never say no to. 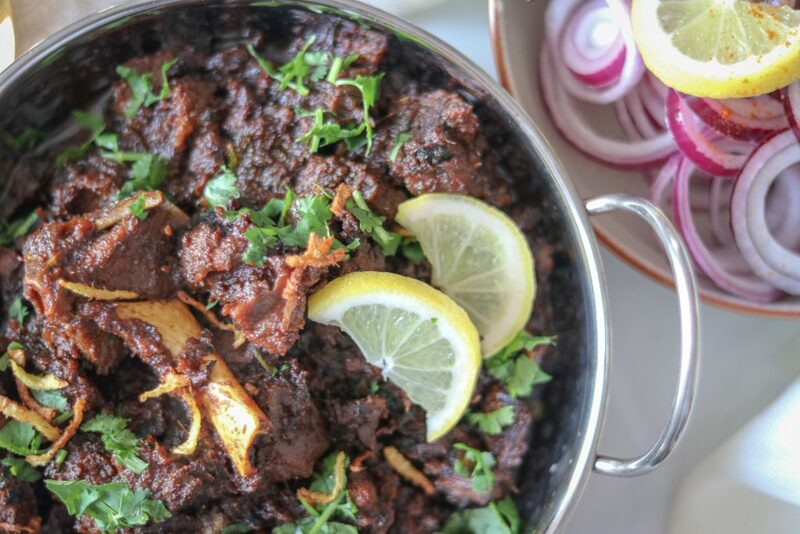 It’s so lovely having this sukha mutton (Dry mutton ) with a slice of bread ,made slightly crisp on a pan … Thats how I just love having it, or even with Amritsari kulcha(and the sad part is its only available in Amritsar. Sob sob.) 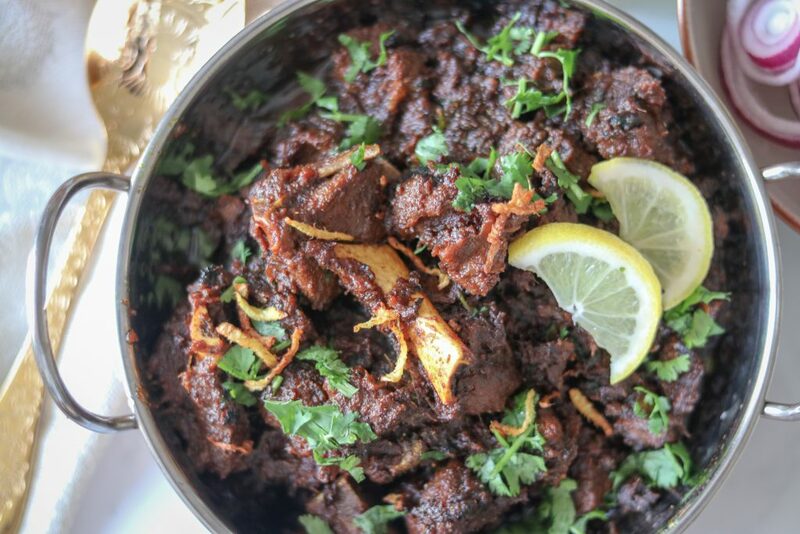 Yes, but just heating a slice of bread on a ghee seared pan, and making it a perfect crisp, topping it with this sukha mutton (dry mutton ) does the trick for me. Thats the closest to the Amritsari street food this can get. If you are not a bread lover, just have it with paranthas, or nan, or on its own with a drizzle of fresh lemon juice, and green chutney. Its a perfect evening snack with friends. Ok I’m salivating. 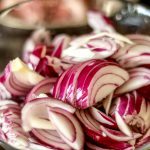 Lets get to the details of the recipe. 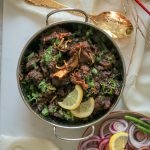 To make Sukha mutton (Dry Mutton) , you would need whole spices- bayleaf, green cardamoms, cloves, black cardamom, cinnamon stick, black whole peppers. 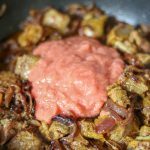 For making the masala you need to prepare fresh garlic ginger paste along with cumin seeds and mustard seeds, Slice the onions, and puree the tomatoes. 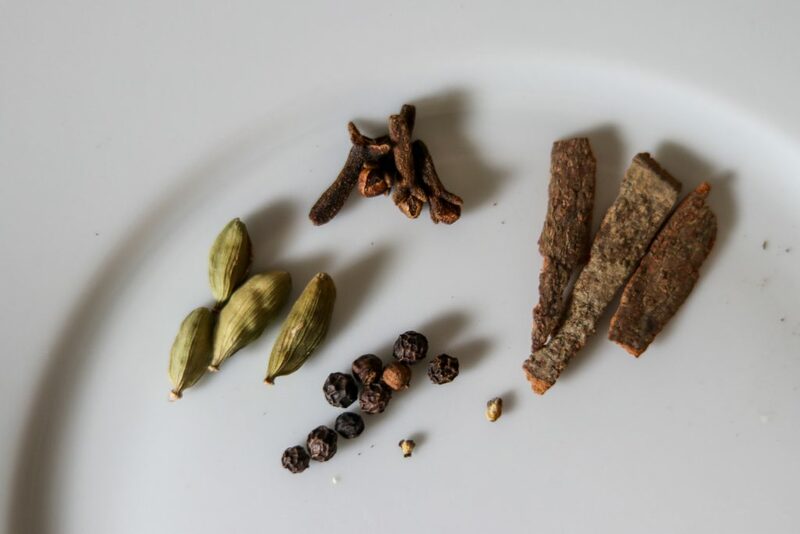 Dry spices needed are salt, Deghi mirchi powder, red chilli powder, coriander powder, garam masala. 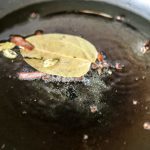 To cook the mutton , start by heating ghee, and add whole spices-add bay leaf, black peppers, green cardamoms, cloves, cinnamon stick. Sauté these for 2-3 minutes till the ghee is infused with all flavours.Now add the ginger ,garlic, cumin seeds and mustard seeds paste. Saute for 3-4 minutes till the raw smell of ginger garlic goes away. 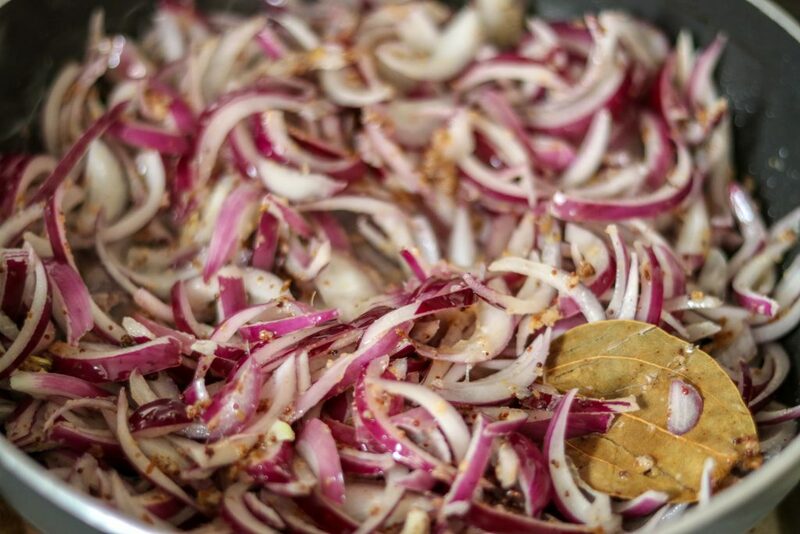 Now add sliced onions, and let it sauté till the onions are nicely fried and golden brown. 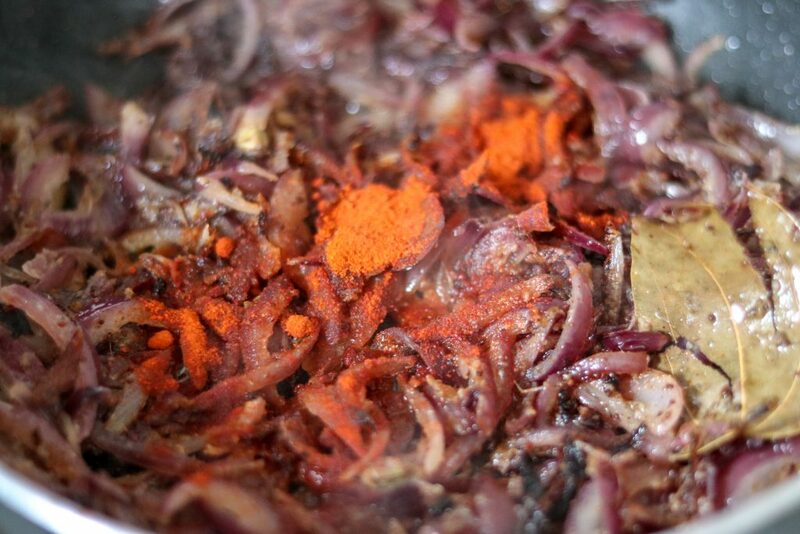 Once the onions are done, add the mutton pieces. Cover and cook for 5-10 minutes. Now transfer all these to a pressure cooker, and add salt, Delhi mirchi powder, turmeric powder, and mix well. 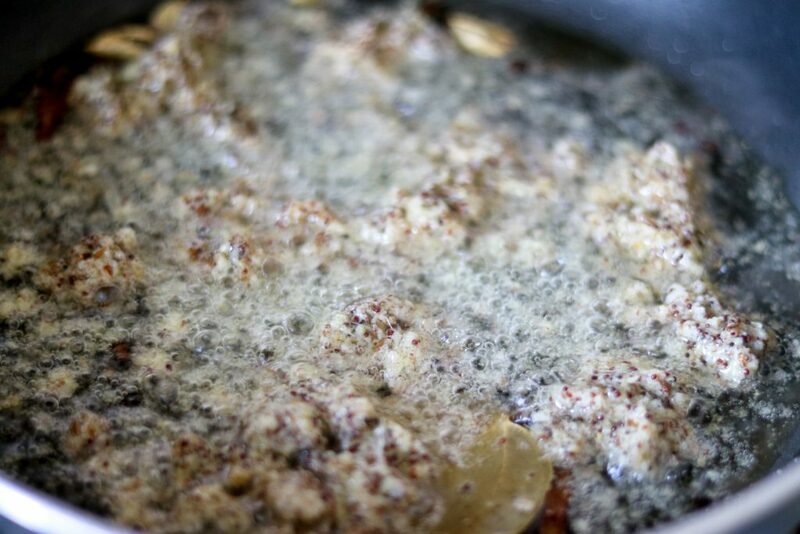 Add pureed tomatoes, and mix.Add 1/2 a cup water, close the cooker lid and pressure cook for 18-20 minutes. Check if the mutton is tender, and cooked properly. If not , you can pressure cook it for longer. 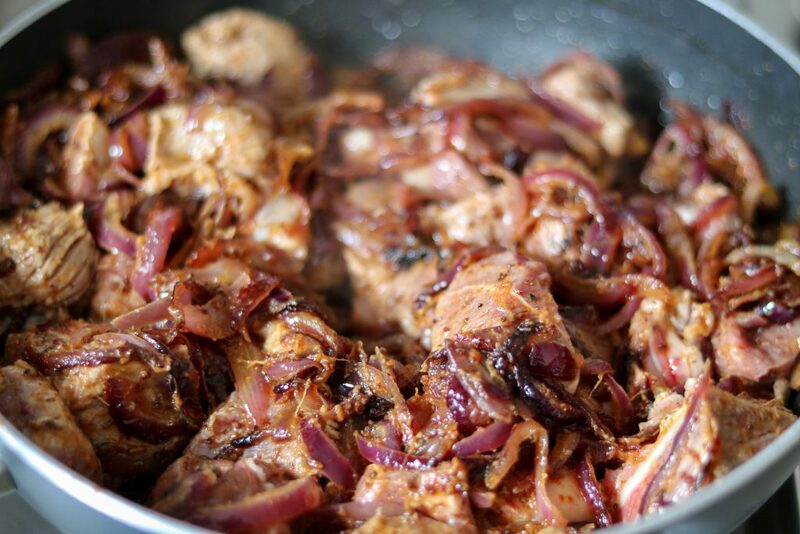 Once it is done, sauté it nicely on high heat for 5 minutes . 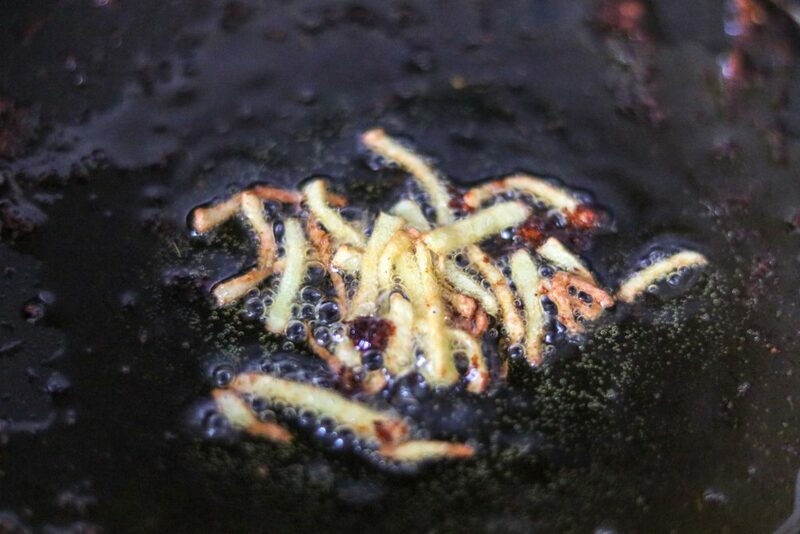 You can transfer it back to a pan, or cook it it the pressure cooker with lid open. 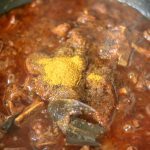 Add Meat masala (this is optional but adds so much more flavour)- you can use MDH meat masala which is easily available in asian stores, or order it online at amazon- link is in my sidebar. Add slit green chillies, and coriander. 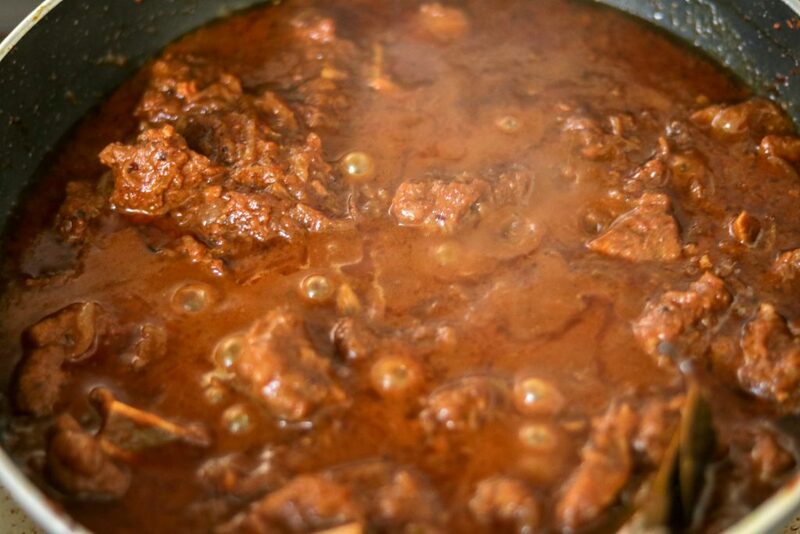 Let the mutton cook for 10-15 minutes, and any water that is left has dried completely. 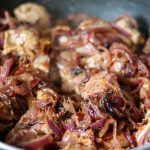 Sprinkle garam masala, fresh chopped coriander and serve hot with paranthas, chapati, naan bread or bread kulcha , with a side of onions lemon wedges.I love having it with a warm crispy slice of bread. For me that is the best combination. 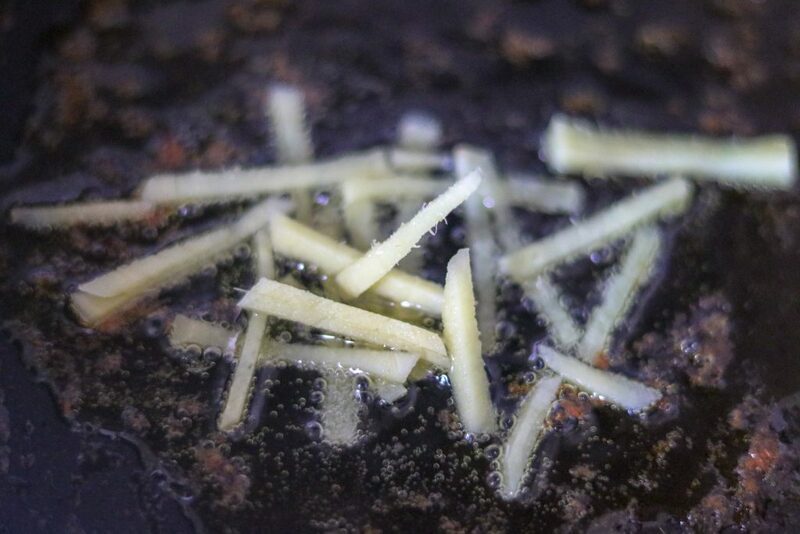 A tip to garnish- You can fry some ginger juliennes in ghee, and keep aside. 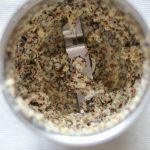 While serving, sprinkle these on top. 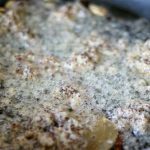 It adds lots of flavour and looks a perfect garnished dish. 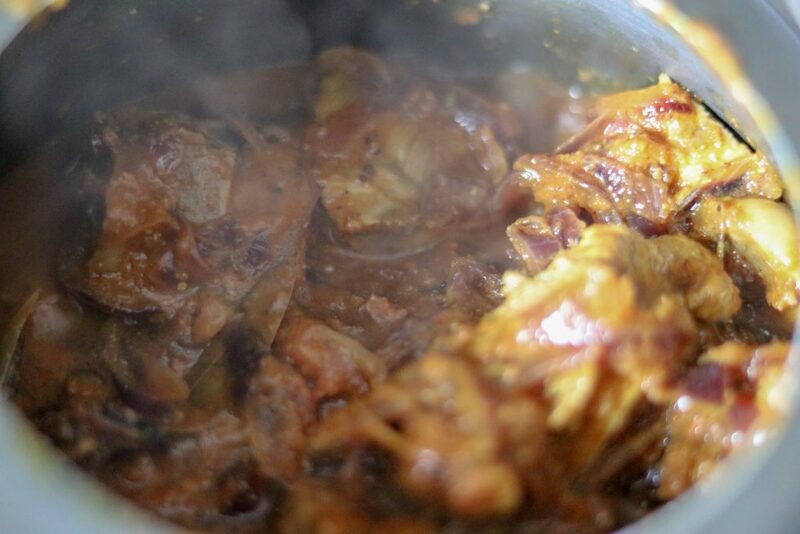 Mutton curry, Homemade chicken curry, Grilled chicken and veggies, Butter chicken , cream chicken, Fish in white sauce. 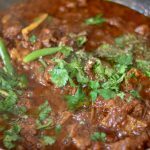 Tender melting chunks of mutton, cooked over slow heat till cooked, seared in ghee with a perfect blend of aromatic spices. 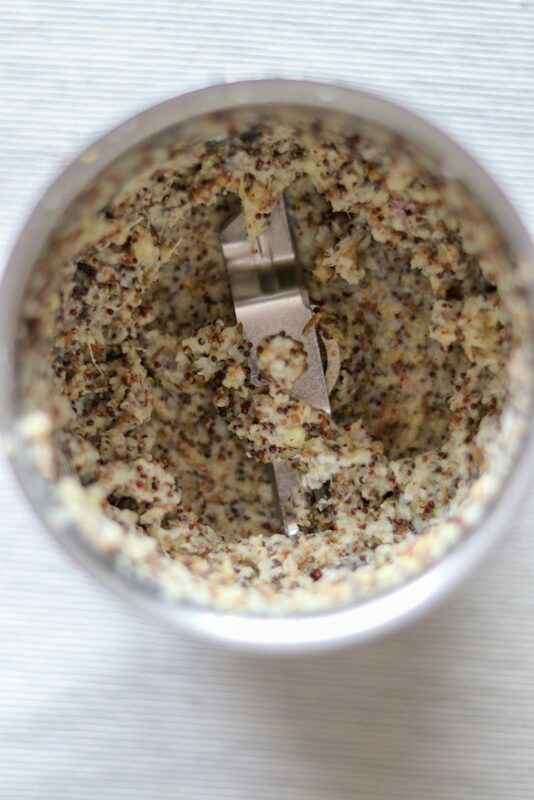 To prepare fresh garlic ginger paste, grind together garlic cloves, ginger, cumin seeds and mustard seeds to form a paste. Slice the onions, and puree the tomatoes. 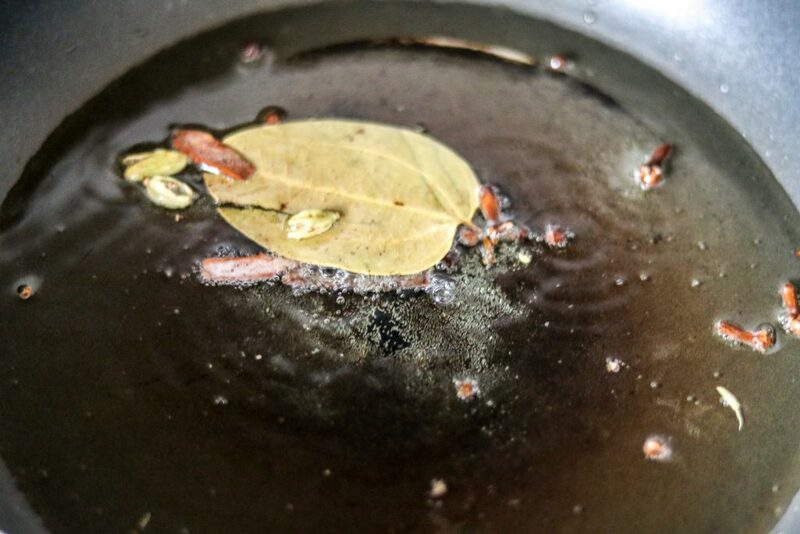 To cook the mutton , start by heating ghee, and add whole spices-add bay leaf, black peppers, green cardamoms, cloves, cinnamon stick. 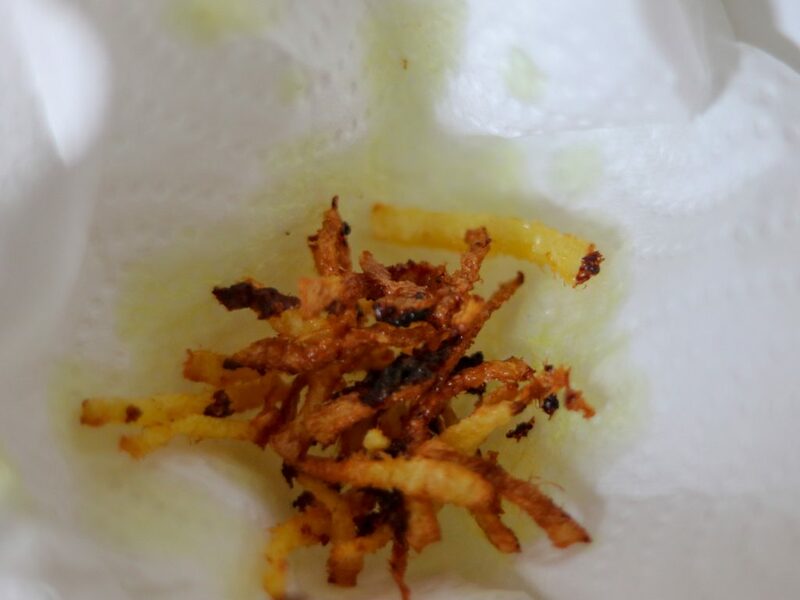 Sauté these for 2-3 minutes till the ghee is infused with all flavours. 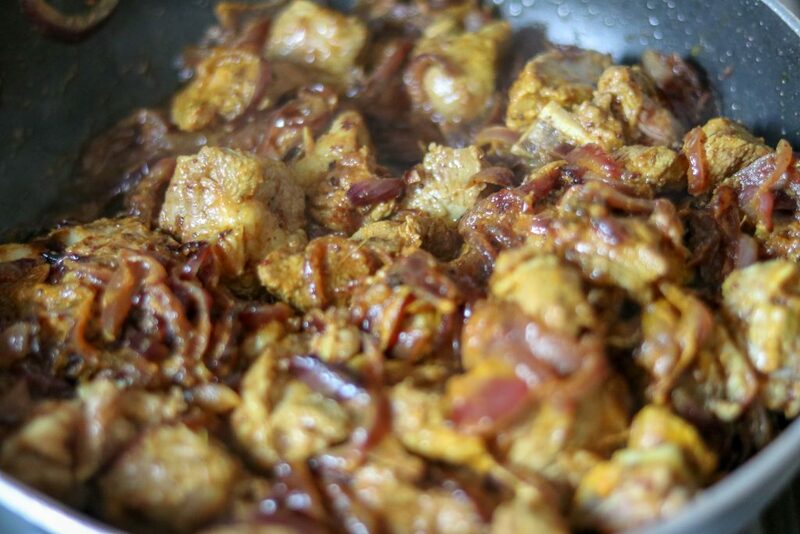 Now add the ginger ,garlic, cumin seeds and mustard seeds paste. Saute for 3-4 minutes till the raw smell of ginger garlic goes away. 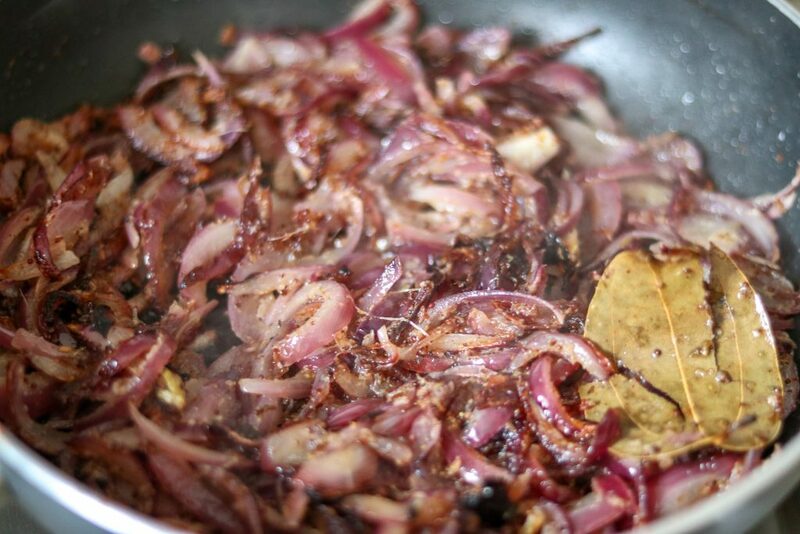 Now add sliced onions, and let it sauté till the onions are nicely fried and golden brown. Now transfer all these to a pressure cooker, and add salt, Delhi mirchi powder, turmeric powder, and mix well. 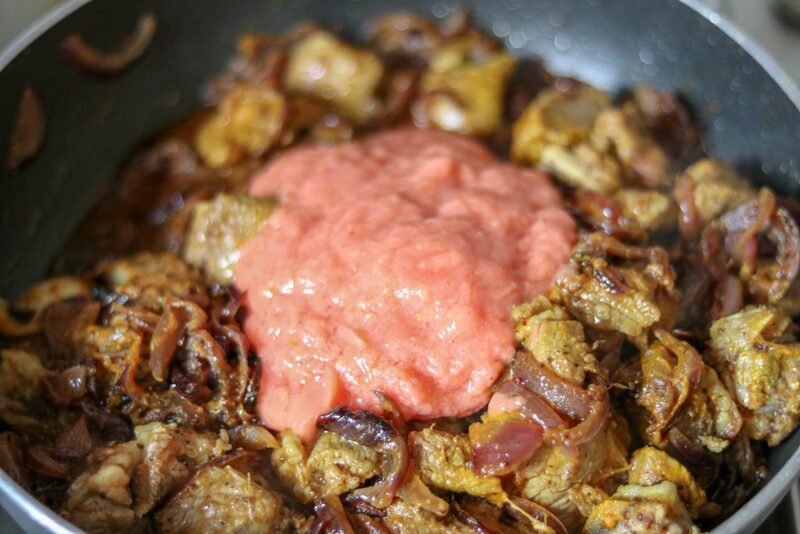 Add pureed tomatoes, and mix.Add 1/2 a cup water, close the cooker lid and pressure cook for 18-20 minutes. 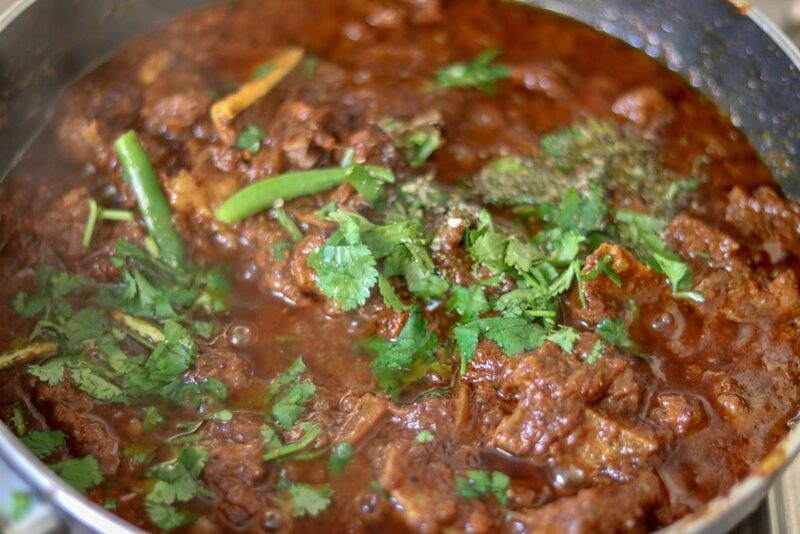 Add Meat masala (this is optional but adds so much more flavour)- you can use MDH meat masala which is easily available in asian stores, or order it online at amazon- link is in my sidebar.Add slit green chillies, and coriander. 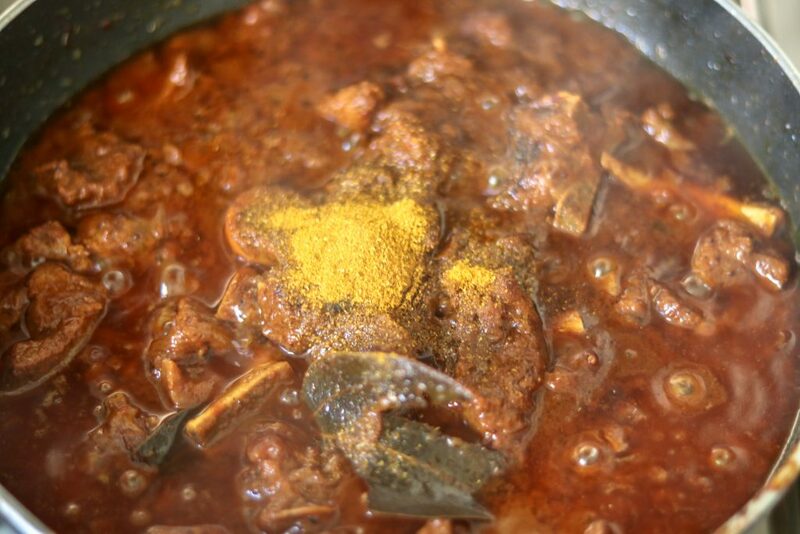 Let the mutton cook for 10-15 minutes, and any water that is left has dried completely. 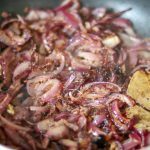 Sprinkle garam masala, fresh chopped coriander and serve hot with paranthas, chapati, naan bread or bread kulcha , with a side of onions lemon wedges.I love having it with a warm crispy slice of bread. For me that is the best combination. Truely Mouth watering. Thanks for sharing. Thank you so much Priya .